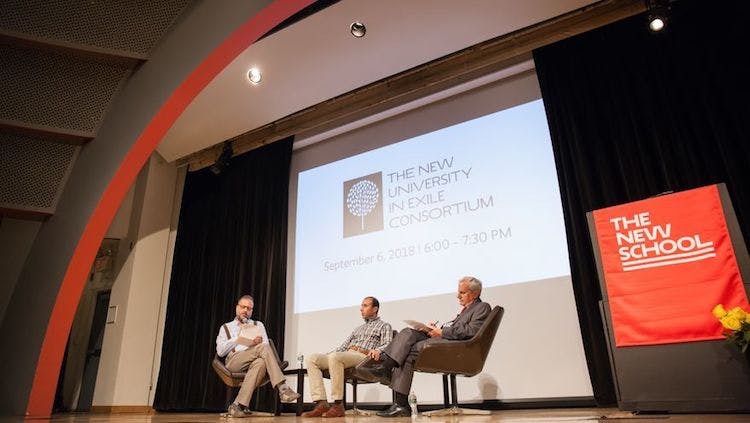 The New University in Exile Consortium is an expanding group of universities and colleges publicly committed to assisting the increasing number of academics living under threat today. 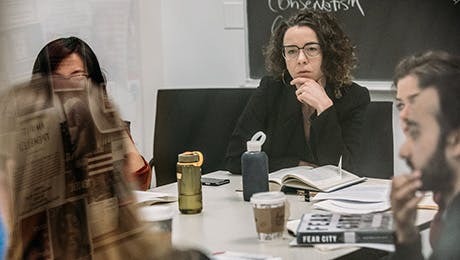 Consortium members are motivated by the belief that the academic community has both the responsibility and the capacity to assist persecuted and endangered scholars everywhere and to protect the intellectual capital that is jeopardized when universities and scholars are under assault. The New School for Social Research was the home of the original University in Exile, which was created in 1933 by The New School’s first president, Alvin Johnson, in response to the growing threat of Nazism in Europe. It was The New School’s own history as the site of the first University in Exile that led us to once again look for ways to assist the many scholars who are threatened by conflict and persecution. We hope to expand our membership to include many other universities and colleges. For information about becoming a consortium member, visit newuniversityinexileconsortium.org/membership/how-to-join.